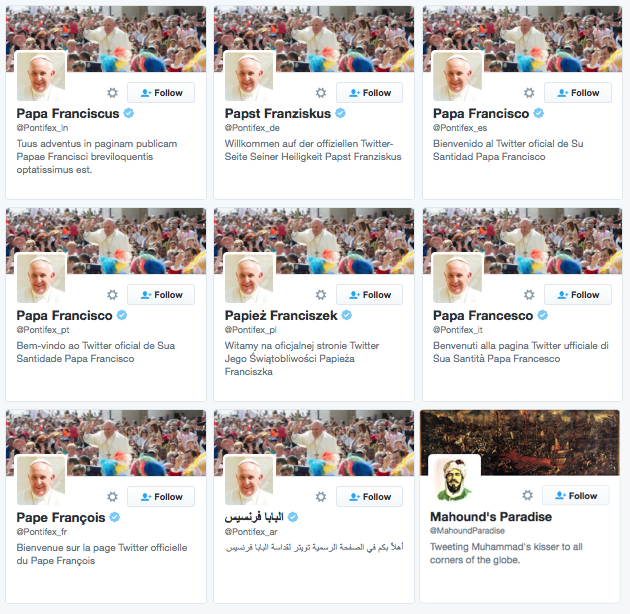 Mahound's Paradise: Who Does the Pope Follow on Twitter? That's the great thing about the internet. You can get fortune cookie messages for free. Okay, fortune cookie messages are usually free anyway. But still. This morning I got another tweet. I don't remember what it said. 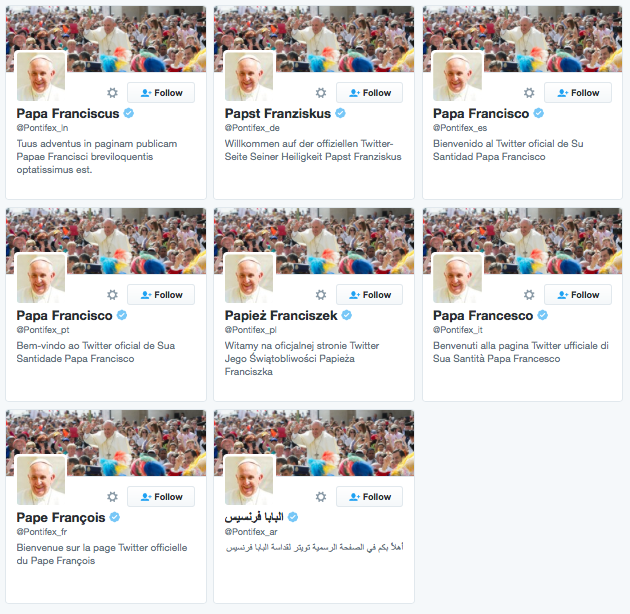 But I do remember that for whatever reason I decided to click through to the Pope's Twitter page. If you haven't done it yourself, you can see what it looks like in the screenshot, above. It's probably what you expected. 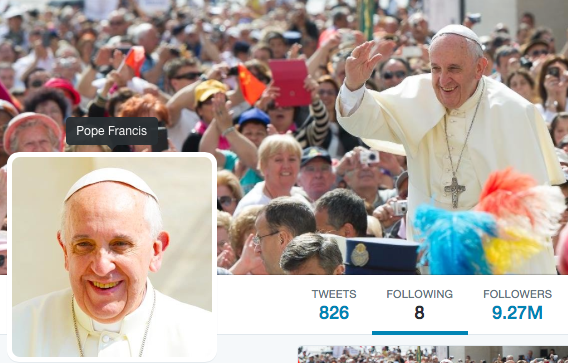 The Pope has 9.27 million followers and has made 826 tweets--that's a bit less than one per day. But the thing that caught my eye was the "Following" heading. As you can see, it reads "8." 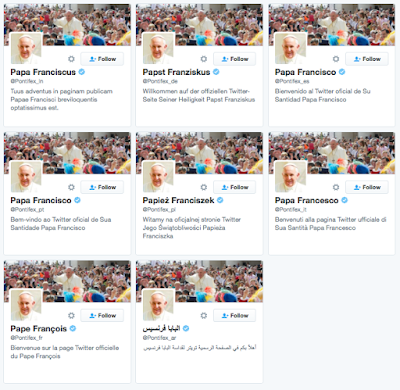 Pope Francis is only following eight other Twitter accounts. So, who is he following? Okay, ready? Pope Francis is following . . .
And, I should add, only himself. Now, I know what you're thinking. He must be a narcissist. But consider: if you had a French alter ego, wouldn't you want to keep tabs on him too? In any case, at Mahound's Paradise, we don't just snark or complain. We act. So I reached out to him. "Popes follow back," I lied. "Buena suerte con tu blog," he replied. "El amor conduce a la apertura y el intercambio." Prepare yourself; 9.27 million friends incoming! I hope he follows "Eccles is Saved"! Good move. Hope it results in more traffic for you.